A lot of vector illustrations are available on the web for a range of themes that you can use for free or for a minimal price, in your personal designs. 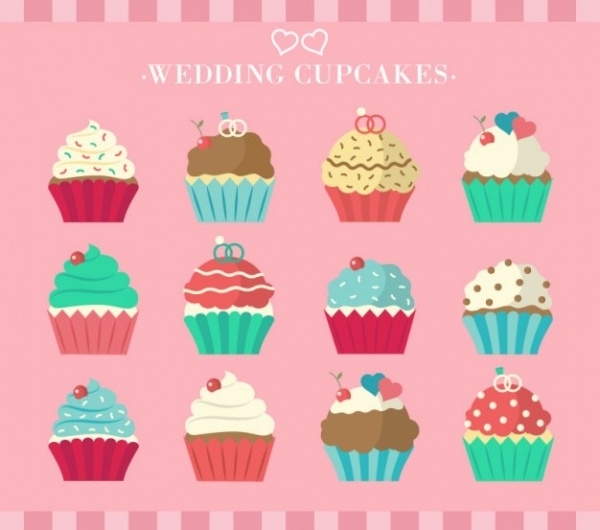 In this article, you will scroll through some of the vector illustrations pertaining to the theme of cupcakes which, in turn, you can use for a million design ideas ranging from local bakery promotion to birthday greeting cards, to anniversary Invitation Flyers. 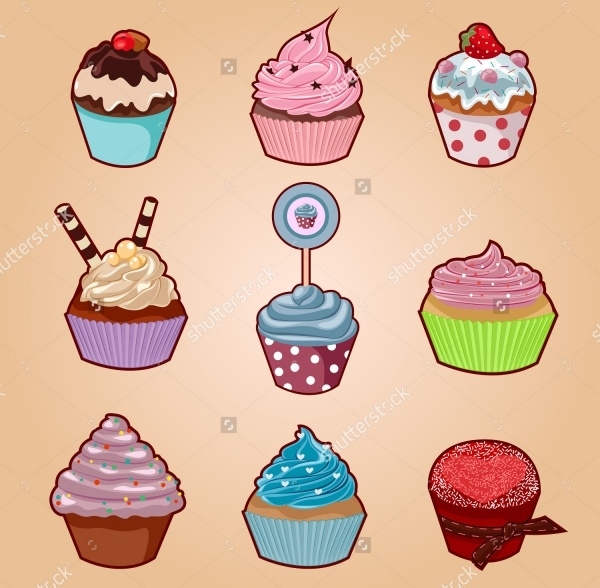 Here is a collection of 12 different and detailed hand-drawn cupcake illustrations that you can download for free from the given link. 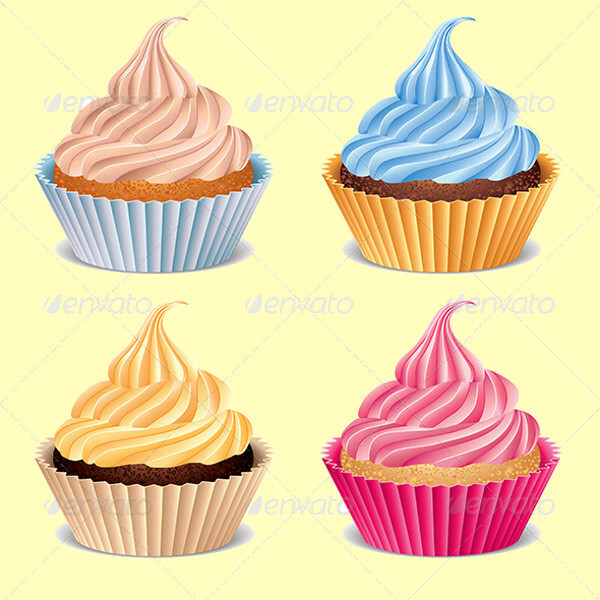 Each of these cupcakes can be isolated and used separately for your design. But there is a very high chance that you would want to use them all together. 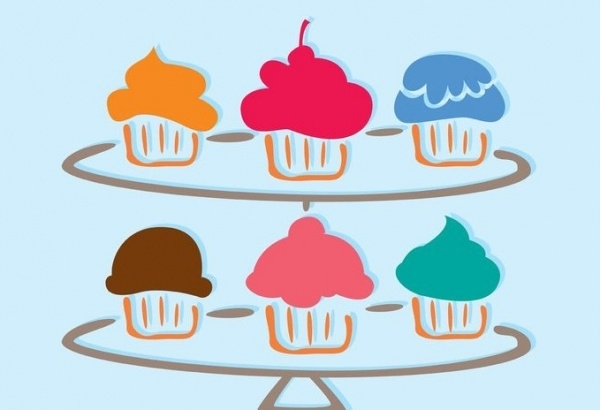 Check out this series of three different colorful cupcakes. The design is quite rough and grungy with its cartoon-like look. 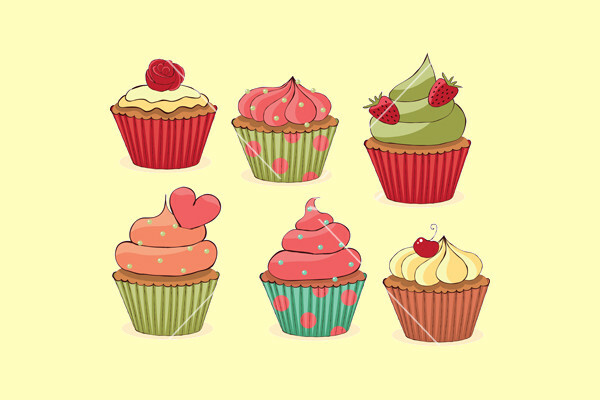 The cupcakes have been covered with cream, sprinklers, and other edibles.You may also see Cartoon Vectors. 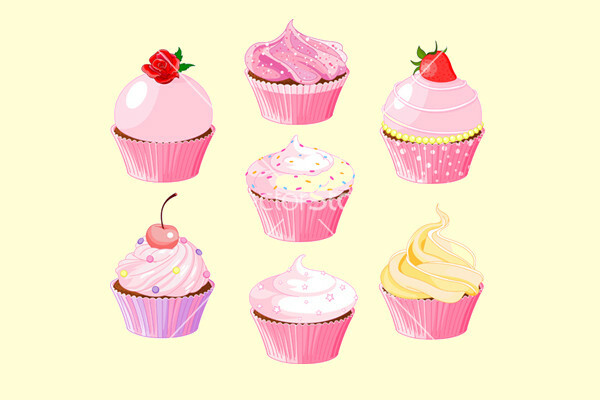 Here is a series of cupcakes, all set in different shades of pink. These elegant vector illustrations are available to you in various file formats, including editable vector as EPS or Ai file. You can even download it as a jpeg image. 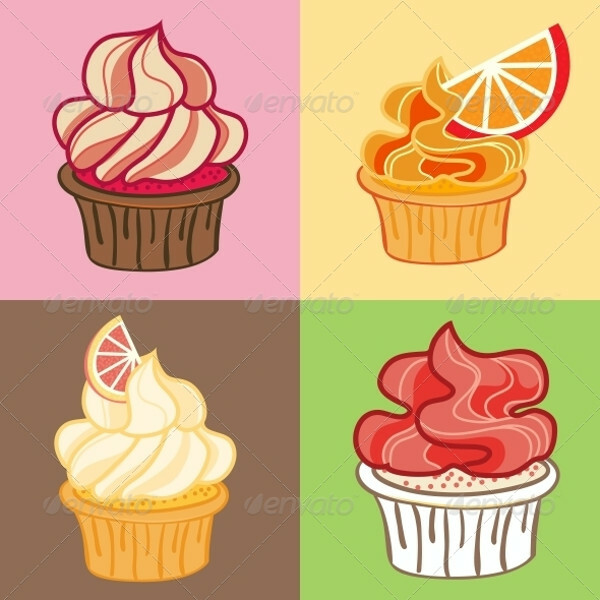 In this link, you will find four amazing and cool looking vector illustrations of colorful and fruity cupcakes. 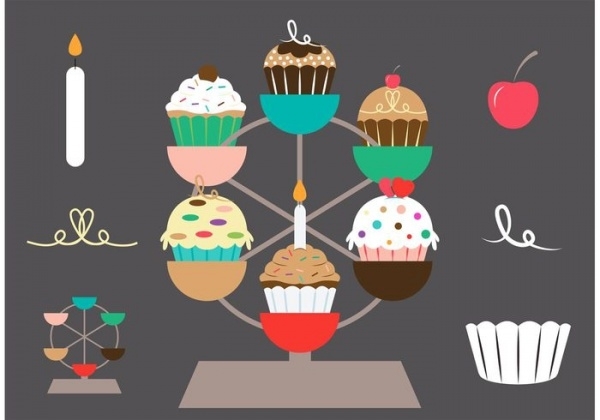 These illustrations will give your designs a playful look, given that these graphic designs go with the theme of the idea. 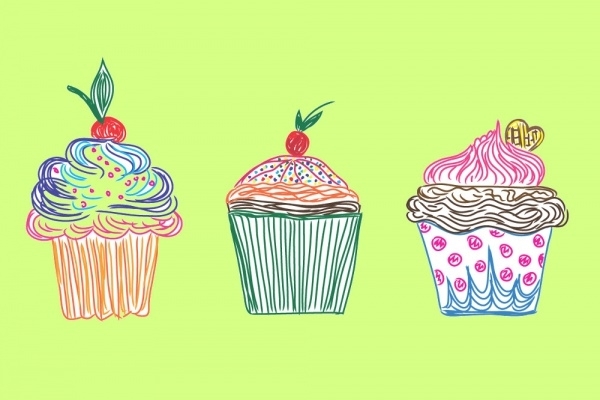 If your design is all about the doodled artwork and you want a design for a similar looking cupcake, then do check out this set of three cupcakes in doodle style. 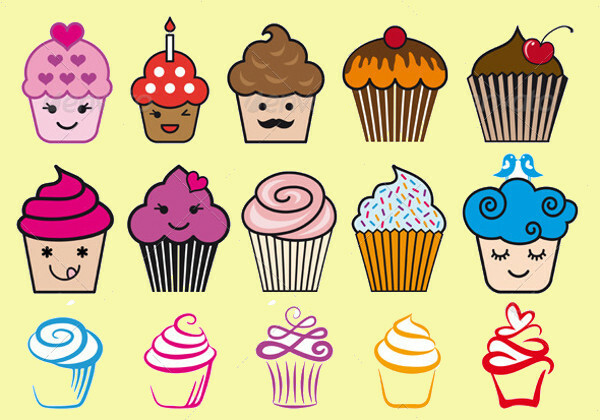 Or you can also be inspired to design your own doodled cupcake after looking at this. 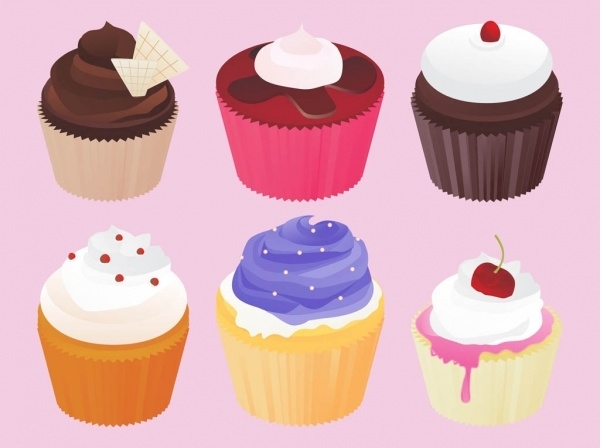 Now cover all the styles and tastes with this elegant series of nine different cupcakes. 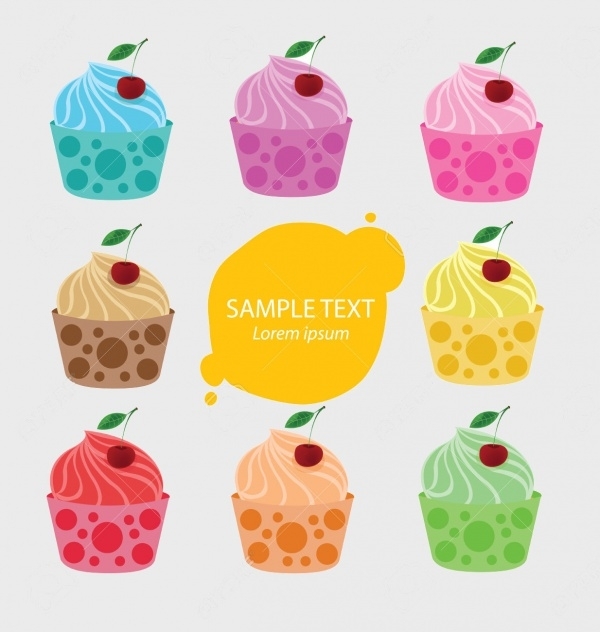 The entire design is available as a high-quality vector illustration which you can download from the given link to use individually in your project. 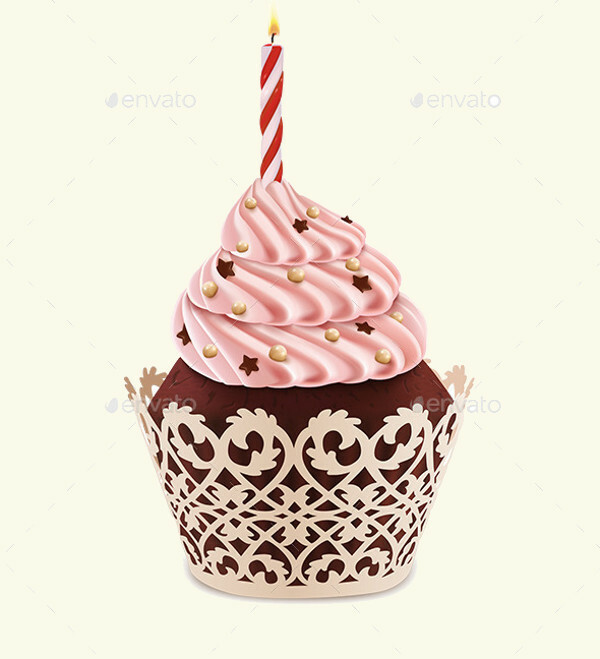 Here is a photo-realistic representation of a birthday cupcake inside a tiara-like case and pink cream and a burning candle. 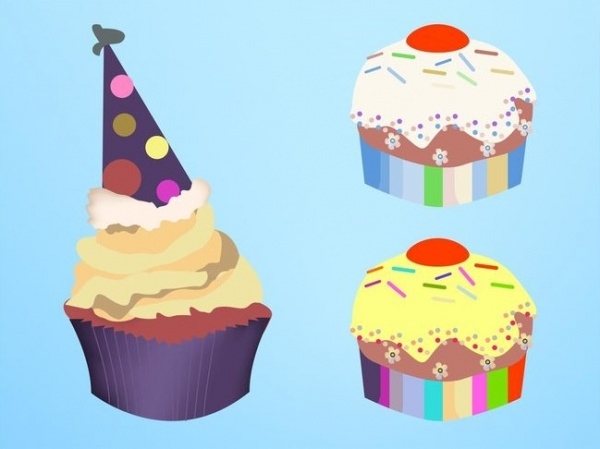 Use this vector to create brilliant birthday invites for your kid or a client. 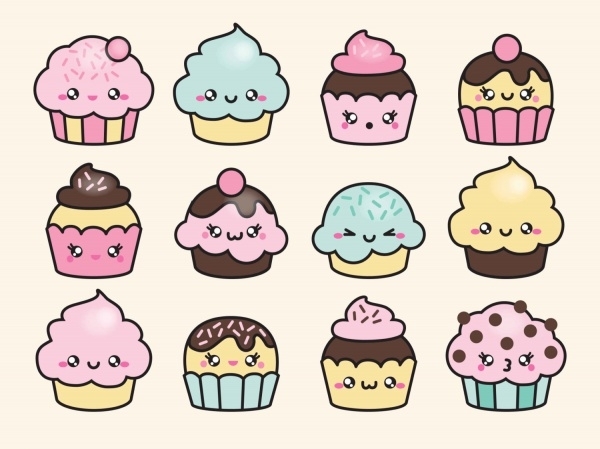 Here is a really professional series of cupcake vectors. 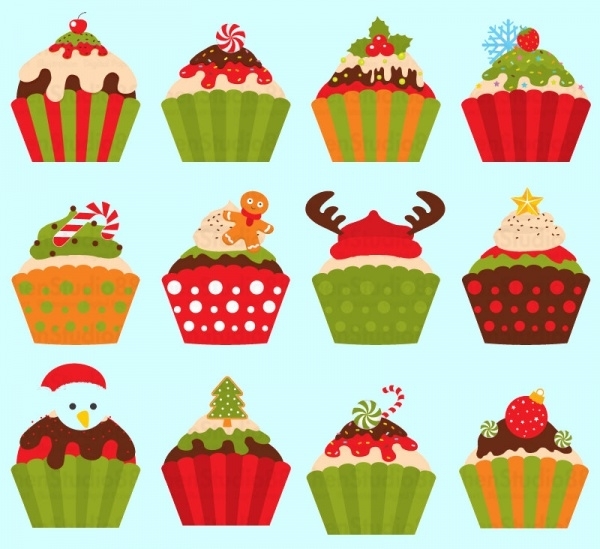 These cupcake designs are filled with decorations, sweet patterns, and stickers. 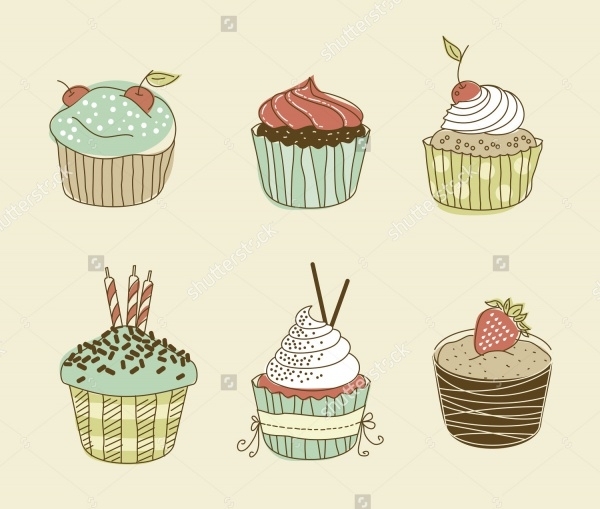 You can easily use these illustrations in your multiple design ideas for birthdays, weddings, or any other greeting card. 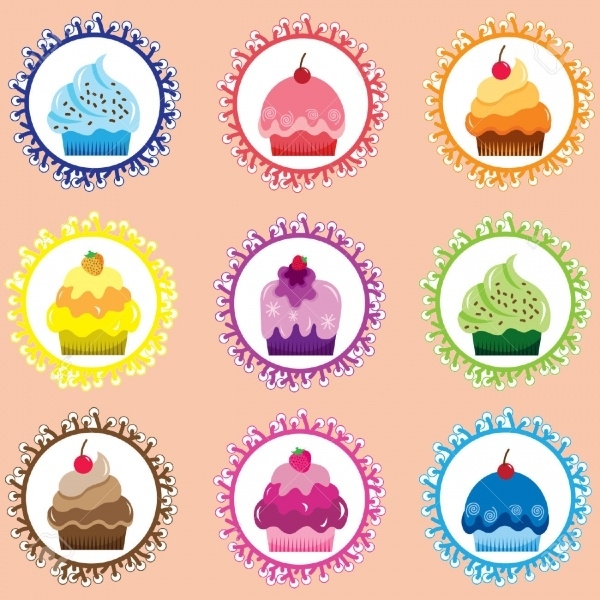 This is another set of nine different delicious looking cupcakes’ vector graphic. The design is available in high resolution and different sizes for you to pick from and download for your personal projects. 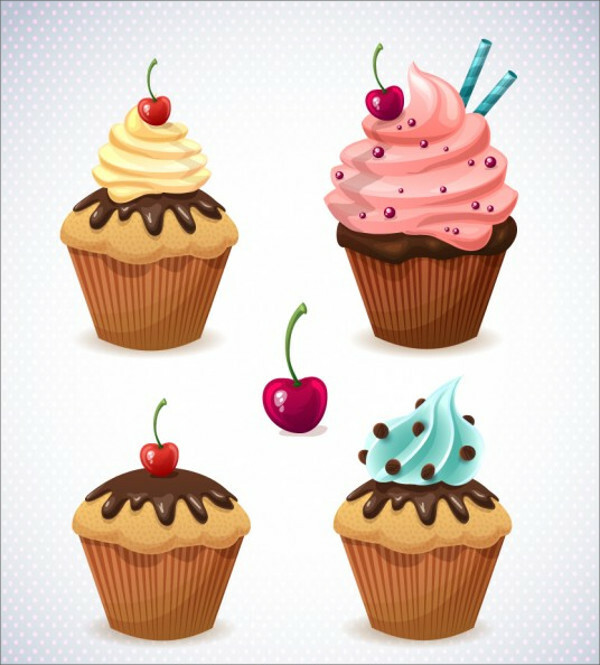 Download this amazing set of 4 cupcake vector illustrations for a modest seven dollars from the given link. The download will include the editable vector in eps file format along with a jpeg image set in RGB color mode. You can even download the PSD if that is something you are more comfortable with. 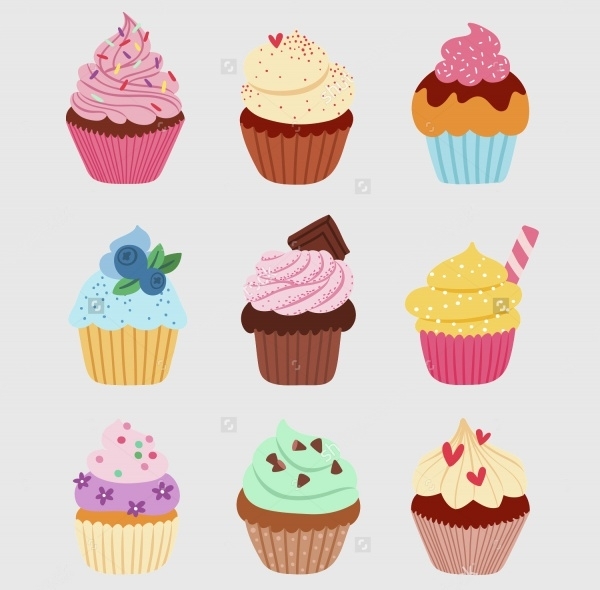 With these series of elegant and beautiful cupcake vector illustrations, you can now cover a whole range of designs for your clients or just your family. Next time it is your cousin’s birthday, you won’t have to run around looking for a gift card, and can just design on your own in just a few clicks. You can also use these vectors for creating abstract artwork that can sit on your wall as a poster design.